*Offer valid on 2019 Ford Escape SEL 4x4. VIN: 1FMCU9HD3KUA21381. MSRP is $30,940. Plus $700.28 in Accessories. WHFM Discount: $2,204. Factory Rebate: $4,000. Sale Price: $25,436.28, not all will qualify. Subject to credit approval. Down payment and monthly payment may vary. Excludes state and local taxes, tags, registration, title, insurance and dealer charges. See dealer for qualifications and complete details. A negotiable dealer documentary service fee of up to $150 may be added to the sale price or capitalized cost. Offer expires 7/1/19. 2019 Ford Explorer XLT MSRP: $37,545 WHFM Discount: $2,691 Factory Rebate: $3,000 Sale Price: $32,554.28 *Offer valid on 2019 Ford Explorer XLT. VIN: 1FM5K8D82KGA28435. MSRP is $37,545. Plus $700.28 in Accessories. WHFM Discount: $2,691. Factory Rebate: $3,000. Sale Price: $32,554.28, not all will qualify. Down payment and monthly payment may vary. Subject to credit approval. Excludes state and local taxes, tags, registration, title, insurance and dealer charges. See dealer for qualifications and complete details. A negotiable dealer documentary service fee of up to $150 may be added to the sale price or capitalized cost. Offer expires 7/1/19. 2019 Ford Edge SEL AWD MSRP: $38,670 WHFM Discount: $2,633 Factory Rebate: $4,061 Sale Price: $32,676.28 *Offer valid on 2019 FORD EDGE SEL AWD. VIN: 2FMPK4J92KBB80947. MSRP is $38,670. Plus $700.28 in Accessories. WHFM Discount: $2,633. Factory Rebate: $4,061. Sale Price: $32,676.28, not all will qualify. Subject to credit approval. Down payment and monthly payment may vary. Excludes state and local taxes, tags, registration, title, insurance and dealer charges. See dealer for qualifications and complete details. A negotiable dealer documentary service fee of up to $150 may be added to the sale price or capitalized cost. Offer expires 7/1/19. 2019 Ford Escape SEL 4x4 (Featured Vehicle) MSRP: $30,940 WHFM Discount: $2,204 Factory Rebate: $4,000 Sale Price: $25,436.28 *Offer valid on 2019 Ford Escape SEL 4x4. VIN: 1FMCU9HD3KUA21381. MSRP is $30,940. Plus $700.28 in Accessories. WHFM Discount: $2,204. Factory Rebate: $4,000. Sale Price: $25,436.28, not all will qualify. Subject to credit approval. Down payment and monthly payment may vary. Excludes state and local taxes, tags, registration, title, insurance and dealer charges. See dealer for qualifications and complete details. A negotiable dealer documentary service fee of up to $150 may be added to the sale price or capitalized cost. Offer expires 7/1/19. 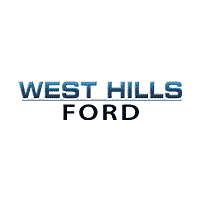 Welcome to West Hills Ford! West Hills Ford in Bremerton, WA treats the needs of each individual customer with paramount concern. We know that you have high expectations, and as a car dealer we enjoy the challenge of meeting and exceeding those standards each and every time. Allow us to demonstrate our commitment to excellence!